I was recently interviewed on The Daily Camera discussing how I use Pinterest as a food blogger and in particular, for a lot of party planning, hostessing and upcoming holiday including Thanksgiving. They even stopped by to do some photographing as I was preparing for our good friend’s birthday party and cooking some appetizers for the evening. See photo below. My story outlined how I use Pinterest, especially for planning. I love uncovering new recipes to try, while I can also collaborate with a group if we’re hosting something. Since I’m hosting Thanksgiving you can see my board around decorating and all things Thanksgiving food here, for example. 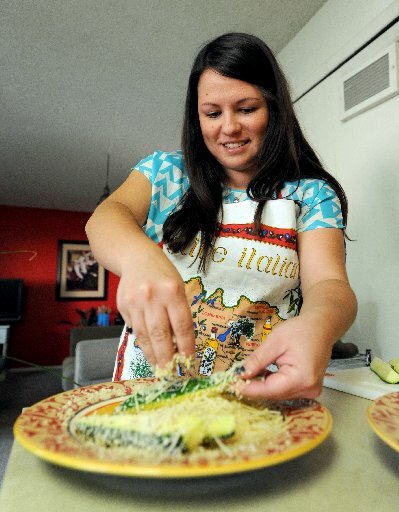 Grace Boyle is a Boulder food writer and blogger who uses Pinterest to share her work, but she also has nearly 400 pins under her board “Food. 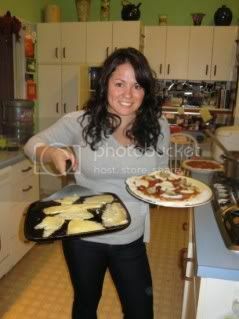 My first love.” Those are recipes that she wants to play with. She prefers to follow food bloggers on Pinterest above using the RSS feed, bookmarks or browsing their sites. Sometimes she creates focused boards for specific occasions. Like right now, she’s planning recipes for her friend’s 30th birthday party. This year, she is hosting Thanksgiving dinner at her apartment, so she’s creating a specific board to organize all of the ideas in one place. Still, Boyle admits no website can substitute for her favorite cookbooks. “I won’t ever replace that,” she says. Always funny to see what you really said and how it comes out. I had some great fellow, blogging friends also part of the article and there are some general Pinterest resources for those that are new to it. You can check out the full article here. You can find my Pinterest profile here: http://pinterest.com/gracekboyle/. What about yours?